It seems like New York firms have a thing for bay windows, but not the usual symmetrical bays prevalent in residential architecture. 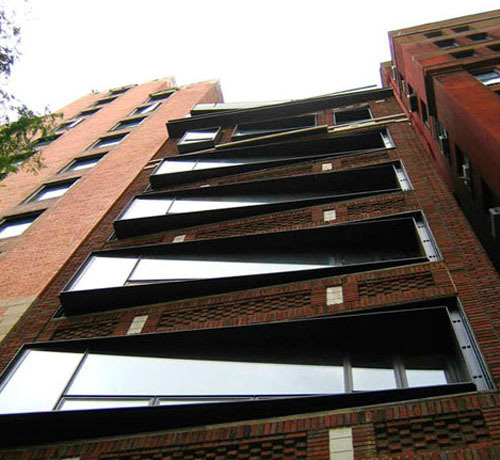 I'm talking about angled bays that project from facades asymmetrically to orient views and jazz up building exteriors. 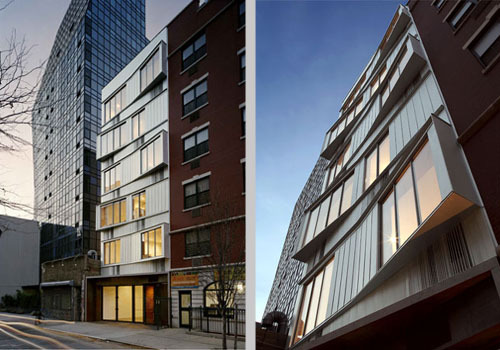 The most well known recent example of this architectural element is the Switch Building in Manhattan's Lower East Side. 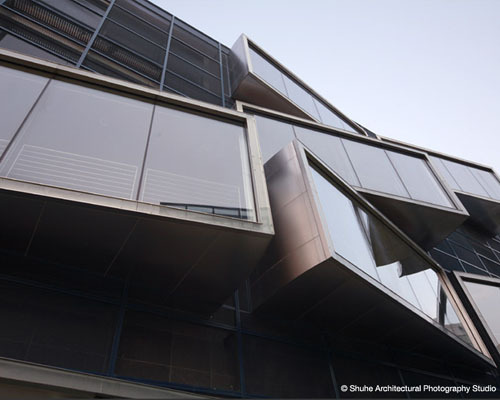 The design by nARCHITECTS alternates these angled bays to give the building its name. A small building that would have most likely been overshadowed by Blue next door, the maneuver holds its own, while offering its occupants captured views up or down Suffolk Street. Bays typically provide seating space for residents, and these are no different. The projections give a public face to an intimate space of the domestic realm. 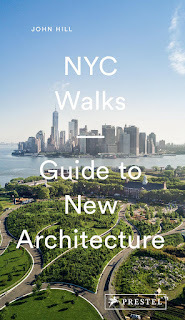 Further uptown, near Madison Square Park is M127 in NYC by SHoP Architects. The condo project is a renovation of seven floors of an existing building, with five floors added on top. 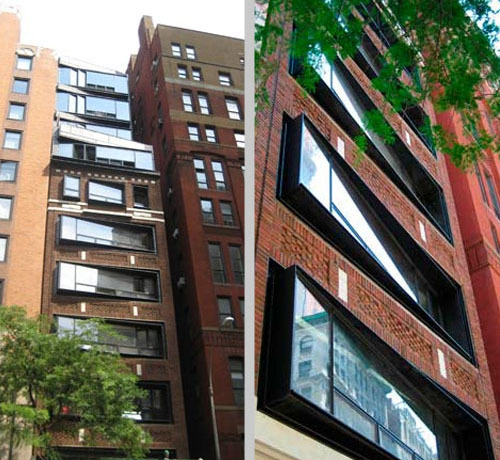 Steel bay windows project from the brick facade on Madison Avenue, creating a distinction between old and new. As the developer's website points out, "The boxes pop from the street, and communicate from the inside, where a two-foot-deep ledge offers room to sit, look out, and engage the street." The below view clearly illustrates the benefits of the angled bay: the integral seating space created and the captured view down the street. Located far from New York but designed by local architects LOT-EK is Sanlitun North in Beijing, China. Working within a predetermined massing from the project's mixed-use masterplan (by Kengo Kuma), the architects were given a 3-meter (10-foot) zone of extension at the front and back of the mass, from which they extended "duct-like metal extrusions with glass fronts...functioning as entrance and display windows for the hi-end retail stores at the lower floors and as large bay windows for the offices located on the upper floors." 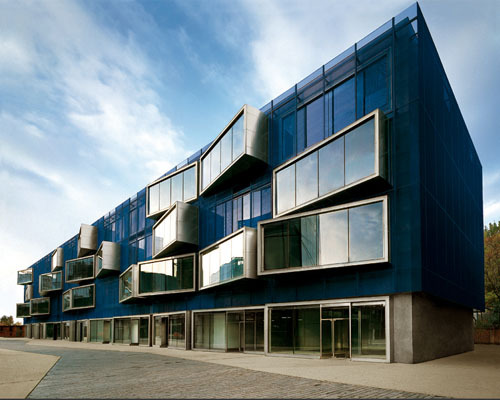 Set off against the blue metal mesh wrap, these angled bays are an extreme example of the architectural element. Their composition across the facade makes the bays appear abritrary, as if the relationship between outside expression and inside function does not jibe like the other two examples above. But with much more generous depth and height, these bays become literal rooms or room extensions, something completely different.